OwlCrate kicked off the year with a Magical Artifacts themed box, and it was such a fun way to start. All of the items were great, so let's get right into it. First up was this lovely antler bracelet inspired by Shadow and Bone made exclusively by OwlCrate. I have really thin wrists, so sometimes it's hard for me to wear bracelets, but this has an opening that you can sort of squeeze to make tighter. I also like how delicate the design is, so it can really go with anything. Are there any artifacts more magical than the elder wand, resurrection stone and the cloak of invisibility? 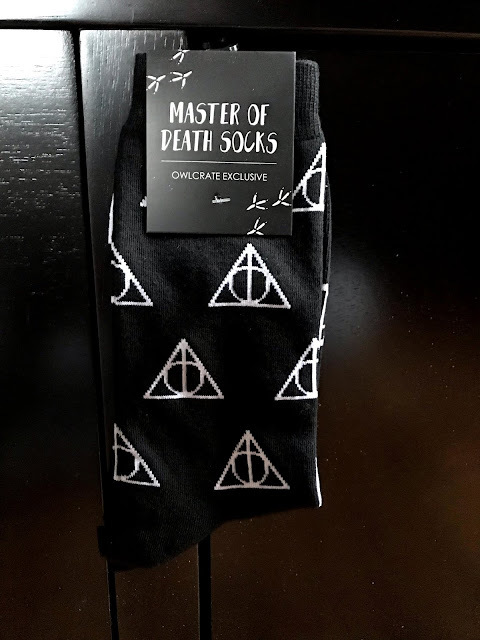 These Deathly Hollow socks designed by OwlCrate and Michelle Gray are so comfy (I'm literally wearing them right now), and who doesn't love a nice pair of socks? 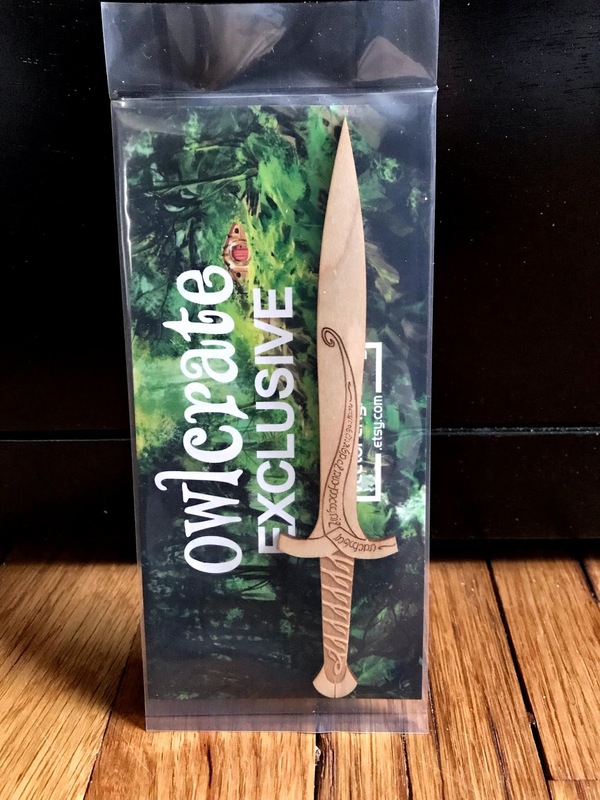 It was like OwlCrate knew that my roommate just said she wanted a letter opener. This wooden one designed by Juniper & Ivy Designs is inspired by Lord of the Rings, and now she can channel her inner hobbit while going through the mail. I just recently started bullet journaling, so this A Darker Shade of Magic pouch by Stella Bookish Art is perfect for all my pens/highlighters. I always love her designs and this is no exception. It's also a good reminder that I need to start this series ASAP. 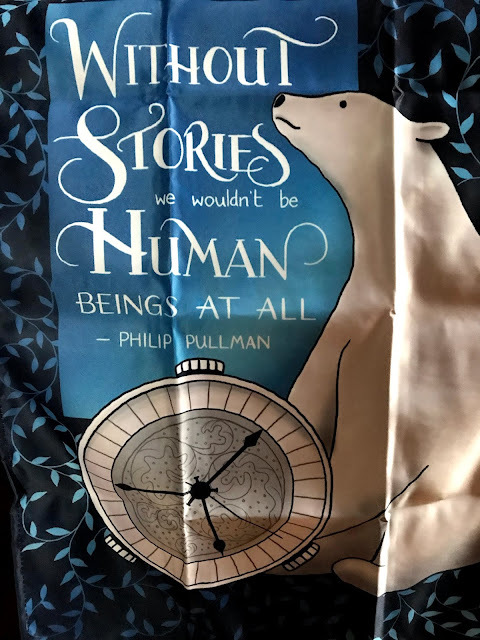 Then we had this tapestry inspired by The Golden Compass designed by Holly Dunn Design. I do think the design is nice, but just a personal preference, I'm not a huge fan of wall tapestries. 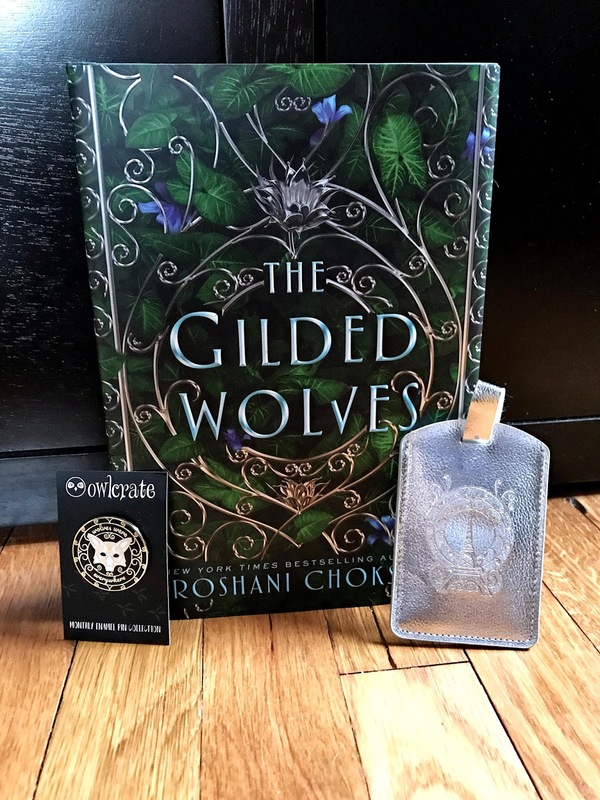 The book for this month was one I've been dying to read: The Gilded Wolves by Roshani Chokshi. This story takes place in 1889 Paris, and it follows Séverin as he assembles a team of talented misfits to track down a long lost artifact in order to redeem his inheritance. The group will have to combine their various skills, knowledge and wit in order to find the item and make it out alive. The OwlCrate team also included an exclusive luggage tag and enamel pin that goes along with the story which was really cool. Here's another look at the pin. 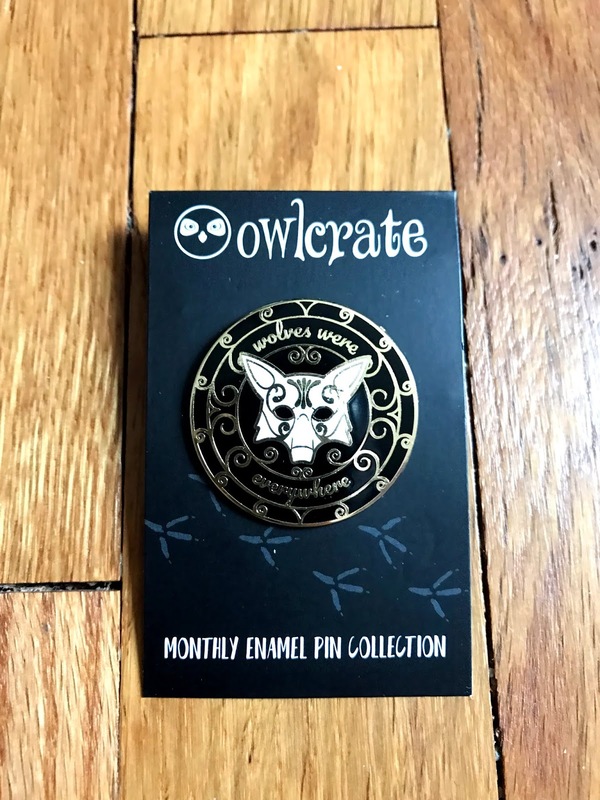 OwlCrate decided to include enamel pins in all their boxes now, and I'm so here for it. Each pin will be tailored to match whatever the book is, and this first one was designed by Alchemy and Ink and it's so pretty. I can't wait to see what more they have in store. This box was such a fun way to start off the year, and next months theme is Whimsical Beasts, which I already have high hopes for! 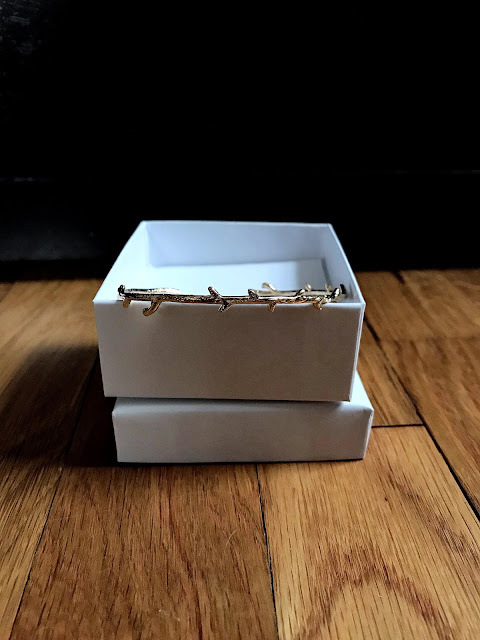 I never bought Owl Crate before, but I feel I would love it. It's one of the best subscription boxes I've used. They always send really nice stuff!